First off, can dogs eat grapes? Unfortunately, grapes make the list of toxic foods for dogs. Photography ©humonia | iStock / Getty Images Plus. 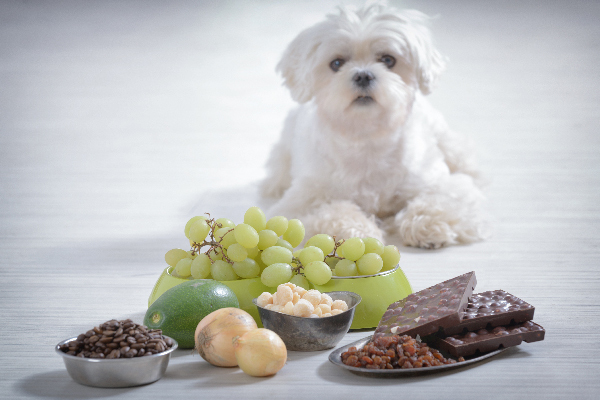 “For reasons that still aren’t clear to the veterinary world, grapes and raisins are toxic to dogs and can result in acute (sudden) kidney failure,” says Dr. Heather B. Loenser, DVM Senior Veterinary Officer of the American Animal Hospital Association (AAHA). So, to be clear, the answer to “Can dogs eat grapes” is a very hard no. So, why can’t dogs eat grapes? “There are many theories as to what the toxic compound is (pesticides, fertilizers, mold, heavy metals) but no one knows for sure,” Dr. Loenser says. One of the most concerning things about grapes and dogs is that it can only take a few grapes or raisins to make a dog very sick. So, no amount of grapes or raisins are safe for dogs. “The toxic dose is also not known and dogs have been sickened by eating just a few grapes or raisins,” explains Dr. Loenser. These symptoms can also lead to coma and death. 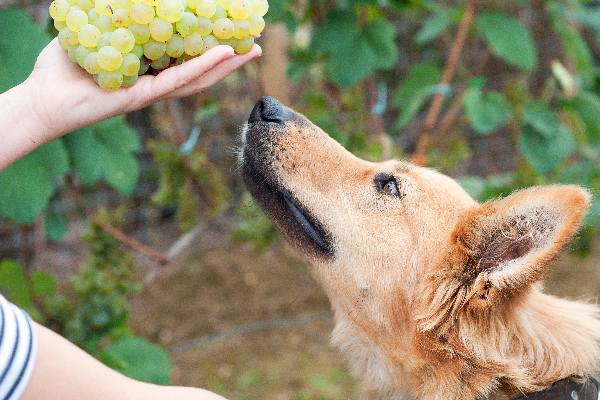 What should you do if your dog ate grapes or raisins? If your dog has consumed grapes or raisins, or if you even suspect that your dog has eaten grapes or raisins, seek medical attention right away. Like any other toxin, the easiest way to protect your dog is to prevent her from having access to the toxic grapes or raisins. This means ensuring that small children eating those snacks are supervised so they don’t share grapes or raisins with dogs, and that you closely monitor your dog in situations when grapes or raisins are present. Grapes are often included in fruit salads and in barbecue dishes, while raisins are frequently baked into desserts, so it’s important to pay special attention to your dog at any gathering where you aren’t sure of the ingredients in all the dishes. 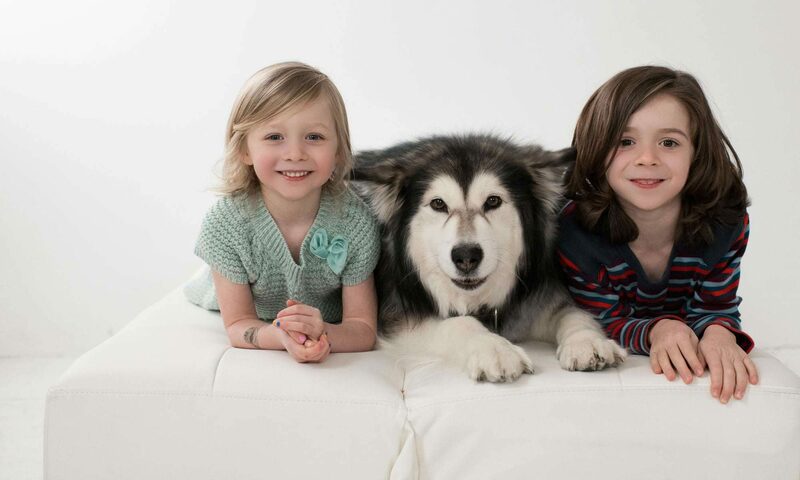 Dr. Loenser also offered this practical suggestion for how she keeps her own dogs safe from the risks associated with grapes: “While many people have ‘peanut-free’ or ‘gluten-free’ homes, my house is a ‘grape-free home’ because of my two curious dogs,” Dr. Loenser explains. Want to learn more about which fruits are safe to share with your dog? This article takes a look at which fruits your dog can eat — and which fruits are toxic. Thumbnail: Photography ©Irantzu_Arbaizagoitia | iStock / Getty Images Plus. The post Can Dogs Eat Grapes? What to Know About Grapes and Dogs appeared first on Dogster. Can Dogs Eat Strawberries, Grapes And Apples? Can Dogs Eat Almonds, Peanuts, Pistachios And Other Nuts? Can Dogs Eat Celery? Is Celery Good For Dogs?